The TRAIN law is in full effect, but the major players in the automotive industry still have a positive outlook toward the future. Although the plans to build new dealerships have been underway long before the latest economic developments in our country, the push for bigger and better dealerships continues. One of the latest to be inaugurated is Honda Cars Baliuag Bulacan. A project of the ANC+ Group of Companies led by Anthony Cheng, the brand-new facility is located on Doña Remedios Trinidad Highway, Barangay Sabang, Baliuag, Bulacan. It is situated along the boundary of the municipalities of Baliuag and San Rafael. It is spacious, and even has a coffee house and Japanese rock garden in the center courtyard. President of Honda Cars Baliuag, Dr. Mike Tan, shares with us that the entire dealership was pretty much designed by him and Anthony. It’s a pretty impressive space, and clearly one of the more aesthetic dealerships we have visited. “Our dealership is built around a Japanese-inspired customer lounge and coffee bar, and a Zen garden,” says Mike. “Overlooking the gazebo is a koi fish pond, a symbol of balance and harmony. Matsu (pine trees) or, trees of resilience and longevity, complement the Zen theme.” Mike is also a nature lover, and it really shows in this dealership.The museum-like showroom can display twelve vehicles. The massive aftersales service facility at the back is very impressive, too, and is proof of the commitment of the brand to its growing customer base in the north. 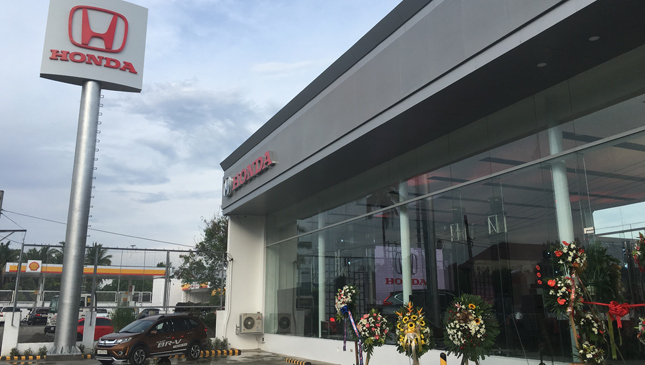 “Our dream of being able to serve the Honda Car customers in Bulacan has finally become a reality. 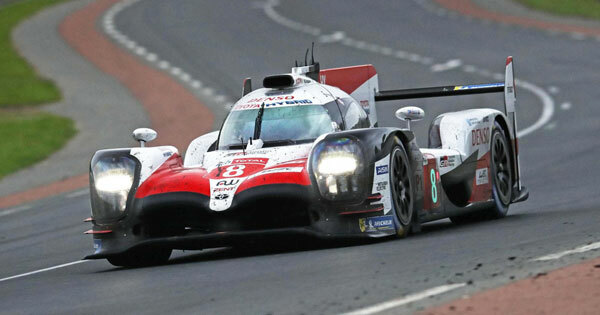 This is the result of all of our hard work and commitment,” says Anthony. 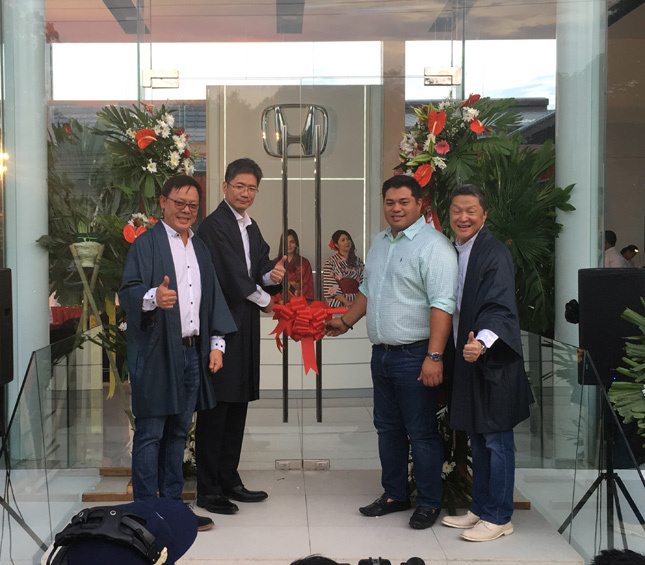 To cap the opening ceremony, a pine tree was planted by Anthony, Mike, and Honda Cars Philippines president Noriyuki Takakura. Another service that was highlighted was a pick-up-and-delivery-valet partnership for Honda customers with Beepbeep.ph. All you need to do is book and appointment and somebody will pick up your car and bring it to the dealership to be serviced, and then returned to you when done. Talk about convenience. Congratulations to the ANC+ Group of Companies!